Boiler upgrade from low-efficiency boilers to high-efficiency boilers. The R.F. MacDonald Co. boiler sales and engineering team supplied 17 hydronic and 2 DHW boilers, totaling 19 boilers on 8 skids. 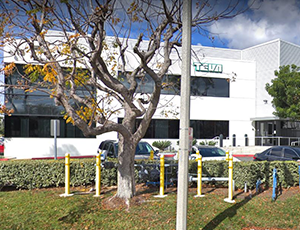 The project required engineering, fabrication and calculated instrumentation. After discussing Yahoo’s requirements, RFM began the CAD and permitting process. With a tight timeline, RFM successfully developed each skid and assisted Yahoo with a complete campus upgrade in less than 4 months. 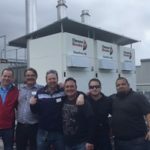 Yahoo replaced 18 of its low-efficiency boilers with high-efficiency ClearFire-CE boilers, which meet air quality emissions requirements. The BAAQMD requires sub 30PPM NOx for boilers above 2,000 MBH to 5,000 MBH. The CFC-E meets 20PPM and is available at 9PPM. 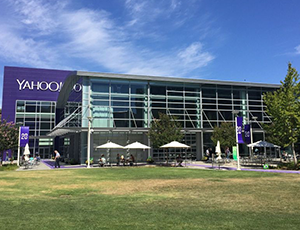 By choosing the CFC-E, Yahoo also upgraded from an average 65 percent efficiency to an average 90 percent efficiency based on Yahoo’s output set points. The CFC-E offers up to 99 percent efficiency at its peak. The CFC-E comes with complete integrated controls for lead/lag staging, building management connectivity and outdoor-rated protection. 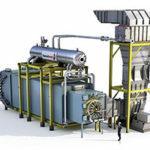 Burner retrofit on existing boilers to achieve emission requirements. St. Paul’s Towers, one location in the Episcopal Senior Community network, is a nonprofit senior living community that provides complete continuing care while encouraging intellectual, physical, and social activities. 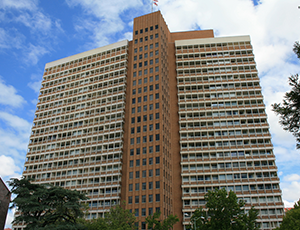 With beautiful views of Lake Merritt and the East Bay, the 23-story St. Paul’s Towers community offers 215 rooms, 43 skilled nursing beds, and 35 assisted living beds. Dual boiler installation atop a highrise urban building. 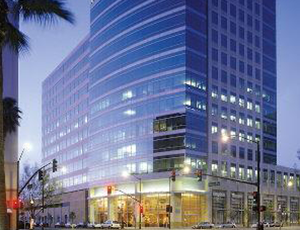 Equity Office owns and manages a portfolio of more than 59 million square feet of office space, with a high percentage of signature properties in leading gateway markets throughout the United States. Many of their properties contain boilers under 5 and 10 million BTUs. These relatively small commercial use boilers were previously not regulated by the air district, but with the new and tougher air quality control standards smaller boiler systems must now meet certain levels of emissions as well as operating and maintenance standards.